Coming up on 20-28 July. Maryland has a Buy Local Challenge the last full week of July every year. What do you have to do to participate? It’s easy. Go to the web site and register. Pledge to eat one local item every day during the challenge. These days, eating locally is pretty simple. Some ready made ideas. Like honey, coffee, biscotti, bread, milk, ice cream, eggs, cheeses, jams and jellies, tomatoes, fruit. Some that require a little cooking, like corn, meat, squash, potatoes. 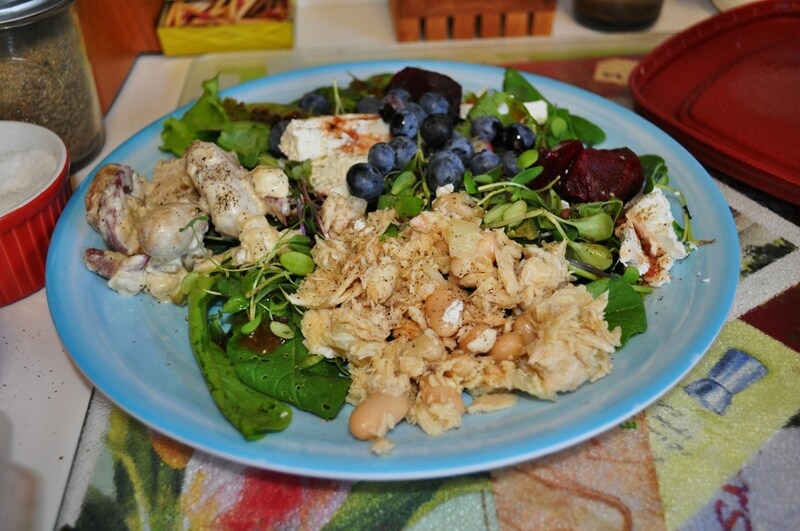 Yesterday, my lunch plate was full of locally grown ideas. The blueberries from Larriland. Arugula and salad mix from Love Dove Farms, bought at the farmer’s market. The onion in the tuna salad. The potatoes, scallions and chives in my potato salad. The goat cheese. This year’s theme for the challenge is to Enjoy Local Foods Outdoors. 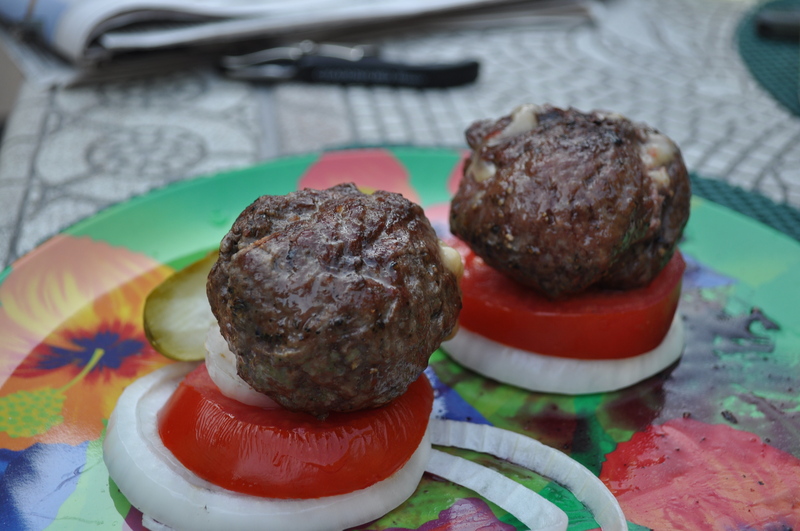 Picnic items like potato salad, deviled eggs, cole slaw, sliced tomatoes and onions on burgers made with local beef. Bread and rolls from Stone House, or The Breadery, or Great Harvest, or Atwater’s. Bowls full of fresh berries with ice cream from Misty Meadows, bought at the Friday market. Grilled corn on the cob, with fresh butter and spice. 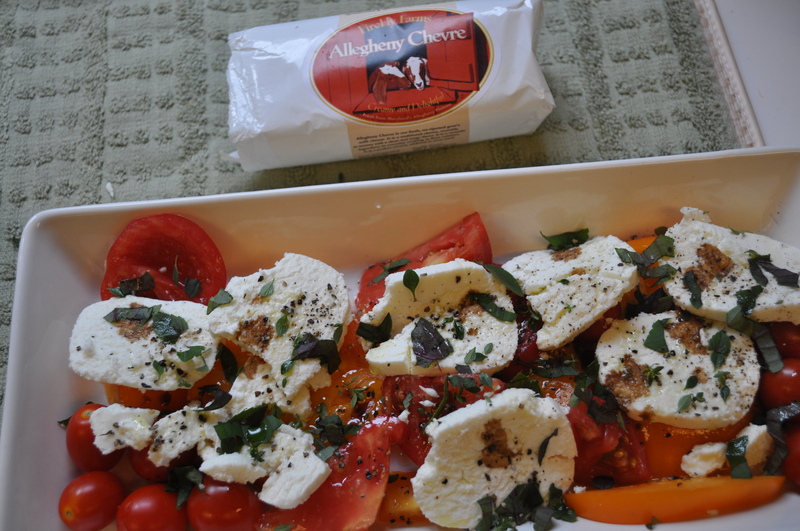 Caprese style salad, with goat cheese from Firefly Farms, or fresh mozzarella bought at Breezy Willow. They also have ice cream, fresh Trickling Springs butter, honey, yogurt that is awesome. If you are a CSA member, it is really a snap to beat this challenge. Or, check out the local farmstands, like Clark’s or Baugher’s or Breezy Willow. Buy some mint. Put it in a pot. Make mojitos. The possibilities are endless. 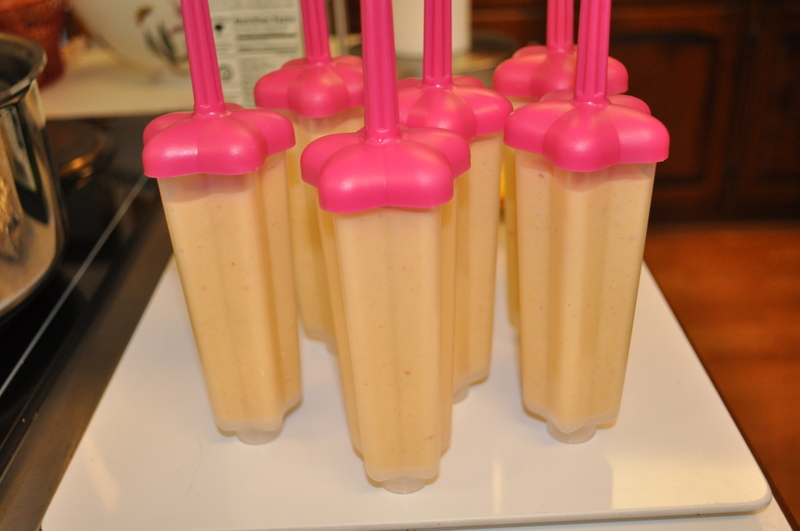 How about peach pops made with fresh local peaches, local yogurt blended and frozen? Are you up for the challenge? Register now, and think about what you can do to support Maryland farms and businesses. And, come to our picnic on the 28th at the Howard County Conservancy. More on that later this month. Posted in Farmer's Markets, Farms, Food, Howard County, Local Businesses, Locavore, Real Food and tagged cooking, farmer's markets, farms, Food, foodie, hoco loco, Howard County, howard county conservancy, local businesses, Locavore, real food. Bookmark the permalink.